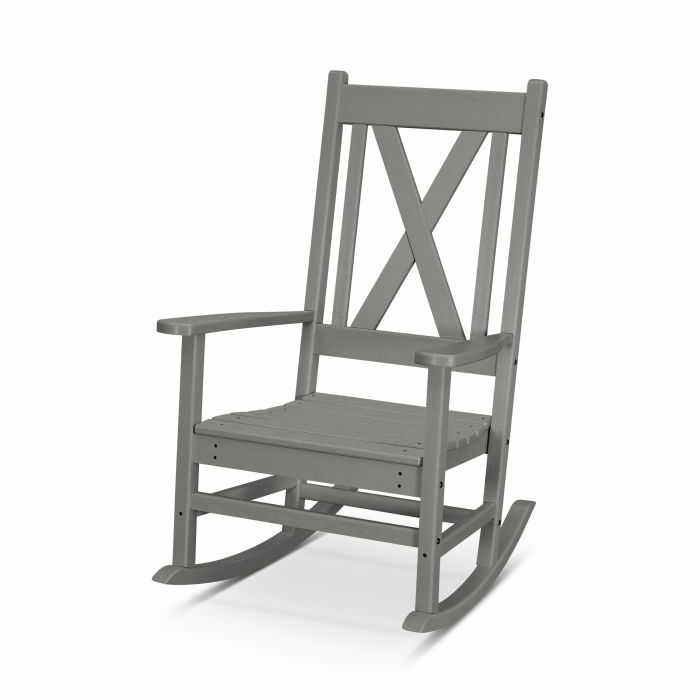 Add style to your front porch with the Braxton Porch Rocking Chair. This comfortable rocker features a charming cross back design that is both traditional and timeless. Add style to your front porch with the Braxton Porch Rocking Chair. This comfortable rocker features a charming cross back design that is both traditional and timeless. Group two porch rocking chairs together with any of our all-weather side tables and expand your assortment with the rest of the Braxton Collection to create a coordinated outdoor oasis.